Philomena (Judi Dench) had a child out of wedlock fifty years ago. Lucky for her, the local nuns agreed to take her and her son in if she agreed to work in the Church to pay off her “penance” for her sin. Bad news, though: they sold her son to new adoptive parents in the States. Philomena has spent the last fifty years trying to find him, and has been racked with guilt ever since. Enter Martin (Steve Coogan), a recently fired journalist. He reluctantly agrees to write a human interest piece on Philomena and help her track down her son. What follows is an effectively clever and heart-wrenching journey the two take together, learning from one another and figuring out how to deal with grief. Philomena is wonderful in that it is simultaneously rich in drama, silly and lighthearted, and also gloomy and dim when it needs to be. It is a truly emotional film that never feels schmaltzy. It feels real. 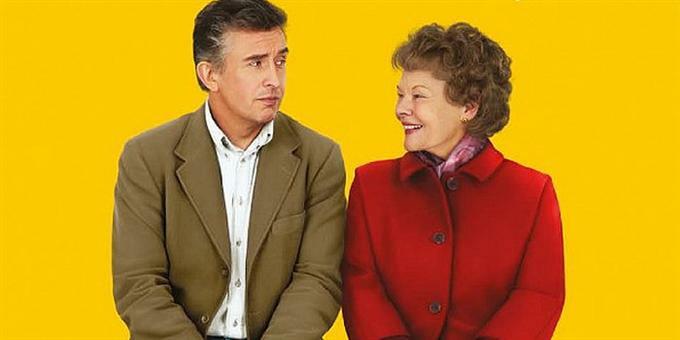 Philomena is an affecting drama, clever, and touching. Though it does tend to err on blaming entire groups of people for the actions of the few, Philomena is nevertheless a satisfying story with rich characters who you can’t help but feel connected to. Philomena is rated PG-13 for language. It should also be noted that one of the more prominent characters in the film is revealed to be gay, and is seen kissing his partner. Not appropriate for young children.